Our 13th OPA! just opened in Edmonton and they’re ready to serve you deliciously shareable Greek food! 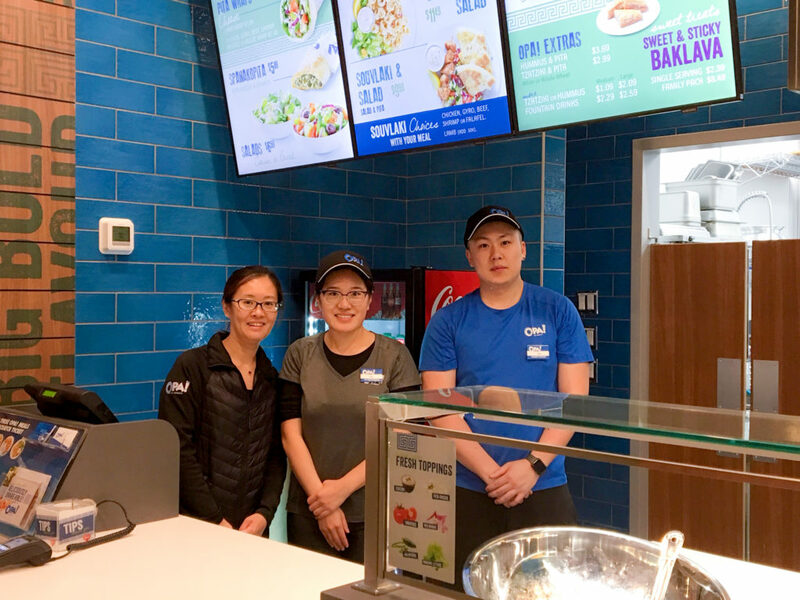 Our newest location in Heritage Valley Town Centre is operated by our multi-store Franchisees Xia “Vivien” Zhou, Li “Lisa” Zhou and Ping Zhou. These three sisters also operate the OPA! in the food court at West Edmonton Mall, North America’s largest shopping mall. Join us on Friday November 2 for our Grand OPA’ning activities. We will be serving FREE Chicken Souvlaki and Greek Salad to all customers visiting between 11am and 5pm. Spin the wheel of OPA! to win instant prizes. 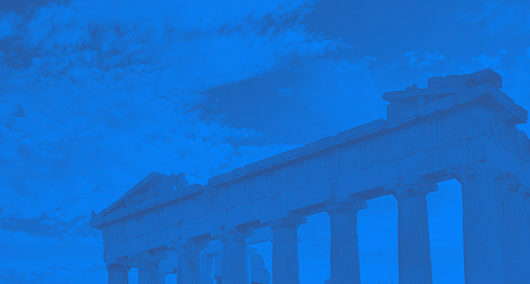 Find out how you can enter for the chance to win a Trip for Two to Greece! Dine in, take out or place your catering order by visiting us at 2634 James Mowatt Trail SW. We are open Monday to Saturday 11am to 9pm, Sundays 11am to 8pm. In the accompanying photograph from left to right are Franchisees Vivien Zhou, Lisa Zhou and Staff Member Ace prepared and ready to welcome their Guests!